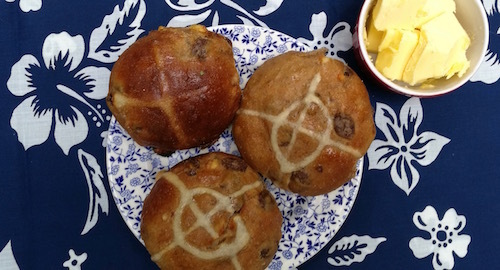 There are very few sacred foods in my British-Anglican backstory, and one is hot cross buns. 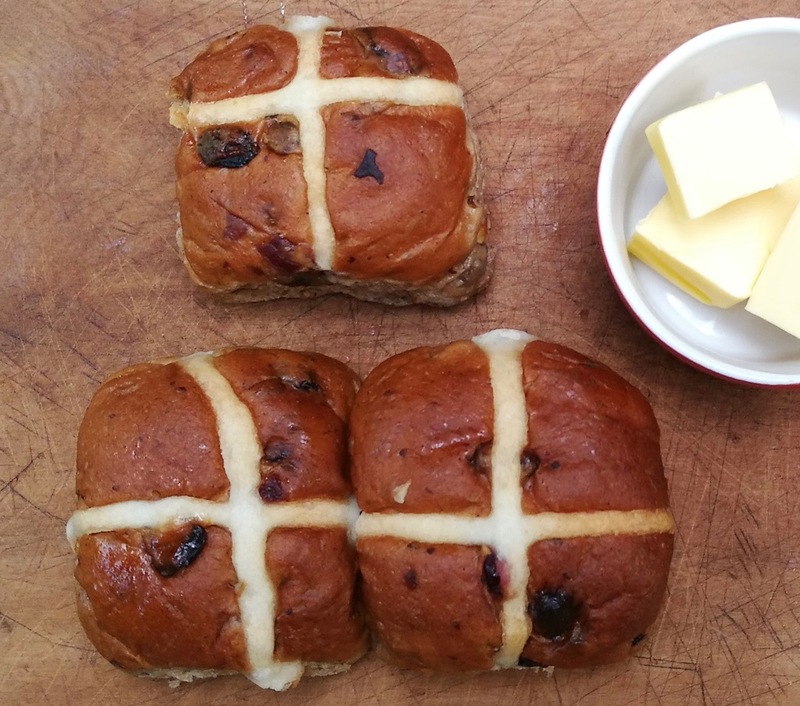 In the Waikato we’re lucky to have two makers of superb hot cross buns: Celtic Kitchen and Volare. Dorothy, my proper English grandmother, would have approved of both. 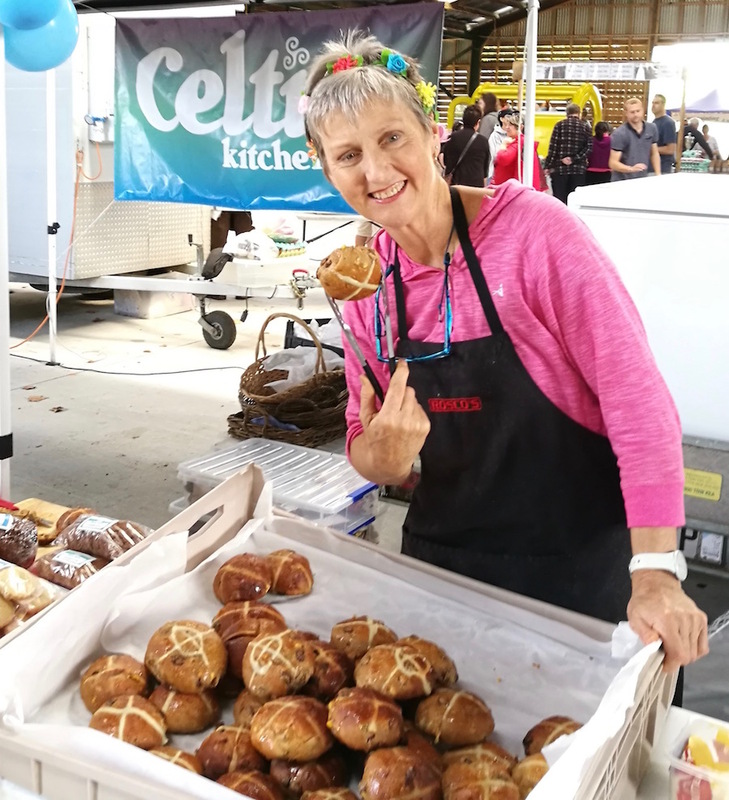 Above: Meg Daly of Celtic Kitchen with hot cross buns at Easter. Volare were national hot cross bun champions last year. Celtic Kitchen could be too, if Meg and Sorcha had time to enter competitions. Seriously, folks, these bakers are not just local treasures – they should be national icons. Above: The last few Volare hot cross buns, shortly before being devoured with lashings of butter.